For those who are unfamiliar, this; an essential raw material when DIY-ing cloth diaper & cloth pad. Use in preventing the liquid from went through the undies; makes you worry free throughout the day! Cute prints? Yes, place them right after the PUL layer. 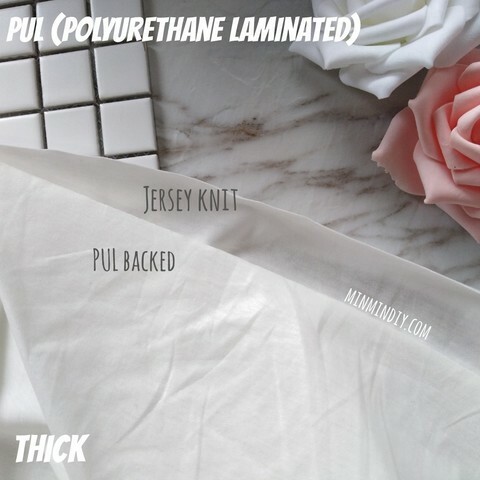 PUL provides the waterproof effects as well as breathable enough for air circulation. Perfect handmade, suit your need. What else can we do with PUL? And anything that comes to your mind. Buy now, it's our hot item in store! Price is for half meter. Width 1.50 meter. Kain PUL sesuai dibuat alas tilam baby, cover cloth diaper, cloth pad, breast pad dan lain2 aplikasi ikut kesesuaian..
Bahagian belakang kain jersey. Ketebalan biasa je tak tebal sangat. 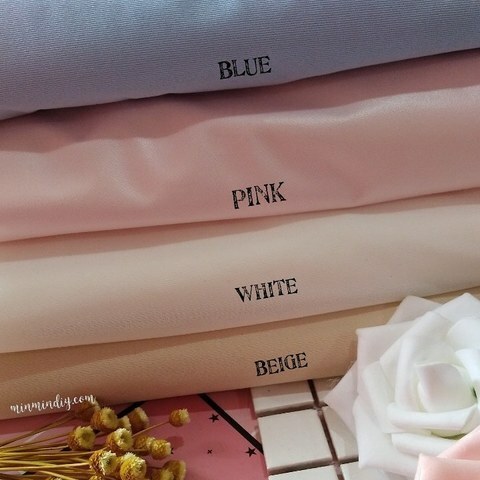 Available in soft blue & soft pink.